We talk a lot about cord-cutting — "skinny bundles" and the like — but there are still plenty of cable holdouts. Cable boxes are largely terrible, though, so any opportunity to not use them is a boon. To that end, AMC has just released an Android TV app. AMC has had an Android app for years, but this one is specifically for Android TV. 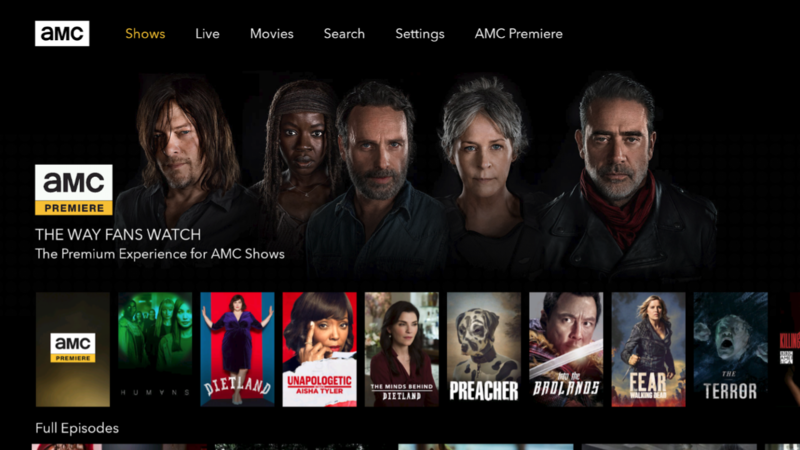 The app requires a cable provider login and provides ad-supported full episodes of AMC's hits like "The Walking Dead," "Preacher," and, er, the other "Walking Dead." There's also a movies tab (if you'll recall, AMC stands for "American Movie Classics") and the option to watch live programming. If you want to pay an extra five bucks a month, you can get AMC Premiere, which unlocks additional content and removes most ads. You can grab the app now on the Play Store (or, of course, from APK Mirror). As of writing, the Play Store listing says there are "0+" installs, so hurry up if you want to feel like you were on board before everybody else.